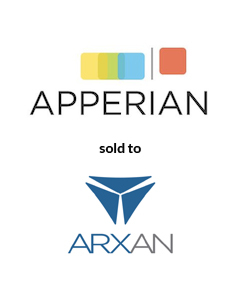 AGC Partners is pleased to announce that its client, Apperian, a leader in mobile application management (MAM®) and security, has been acquired by Arxan. The acquisition will establish Arxan as the industry’s leading provider of application security and management for mobile and IoT applications. With a team led by Maris Lewis Kussmaul and Eric Davis, AGC Partners acted as sole financial advisor to Apperian.